"Best and most secured disk storage for our Azure VMs!" This new software allowes use to easily migrate within minutes, offering more secuirtry with granular access control then the next best software!. Currenlty there is nothing we dislike about 'Managed Disks'. The software is next to perfect level! Very good indeed. 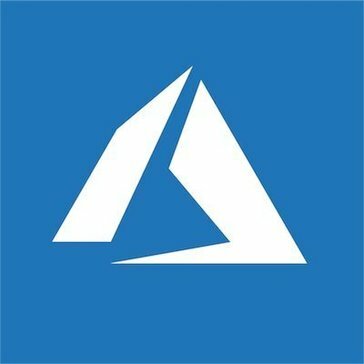 It is free to try on the Microsoft Azure site! Try before you buy! More secure disks for our VMs! "Ease of Use Is Managed Disks Middle Name"
Have never ran into something as easy to use as Managed Disks! You have to try this out! When we first implemented this it only took a few minutes to really see how awesome and easy Managed Disk is to use. After the amount of time it took us to find this I have to say everyone needs to use this! We tried so many other similar products and nothing can compare to the ease of use that Managed Disks has. What Block Storage solution do you use? Amazon Elastic Block Store (Amazon EBS) is a cloud-based storage that provides persistent block level storage volumes for use with Amazon EC2 instances in the AWS Cloud. Create expandable storage volumes and mount them from your Compute Instances. Block Storage is currently available in our New Jersey Cloud Center. SkyAtlas API allows you to manage your cloud infrastructure in a simple and programmatic way. You can automate routine tasks with RESTful SkyAtlas API that you are familiar with in the SkyAtlas administrator interface. gBlock Storage is designed to meet specific IOPS performance levels. All block storage types are RAID configured and accessed via fiber channel. Block storage is fast no matter what IOPS level you choose, with speeds that are four to eight times faster than a mechanical hard disk. * We monitor all Managed Disks reviews to prevent fraudulent reviews and keep review quality high. We do not post reviews by company employees or direct competitors. Validated reviews require the user to submit a screenshot of the product containing their user ID, in order to verify a user is an actual user of the product. Hi there! Are you looking to implement a solution like Managed Disks?